F-104G Starfighters of No 110 Squadron which, with the F-102As of No /14 Squadron, form No 4 Wing at Murted (No 4 Base), near Ankara. Convair F-102A Delta Dagger all-weather interceptors of No 114 Squadron at Murted, near Ankara. A North American F-100F Super Sabre used for conversion at squadron level. 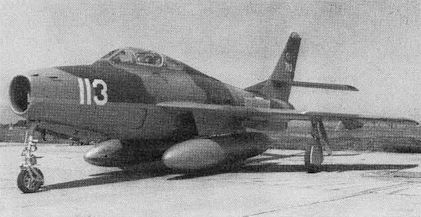 One of the ex-Luftwaffe T-33As employed Jor advanced training at Cigli which is also the commercial airfield for Izmir. Beech T-11 Kansans remain in the THK training aircraft inventory. Attrition suffered by Republic F-84F Thunderstreak squadrons over the past dozen years has been made up, in part, by the delivery of ex-Luftwaffe aircraft referred to as F-84FQs. CCF-built Beech T-34 Mentors remain in the THK training aircraft inventory. 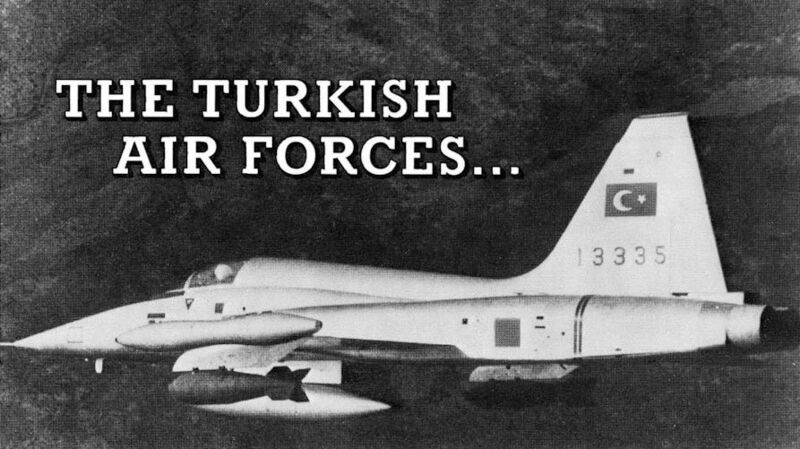 The Republic RF-84F Thunderfiash remains standard THK tactical reconnaissance equipment and currently equips one squadron in each Tactical Air Force.